Remember when Yaya Toure and his agent kicked off because Manchester City didn’t get him a birthday cake…? 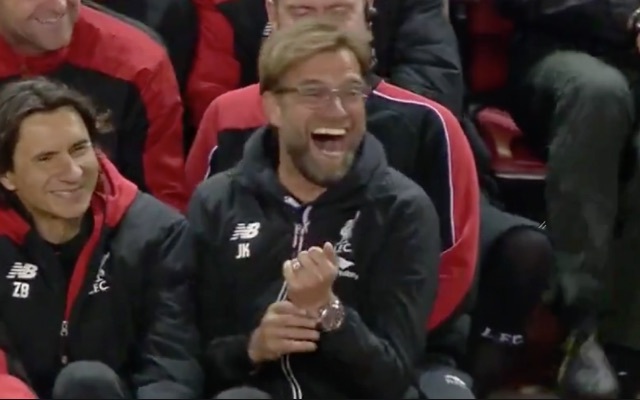 Well Jurgen Klopp has specifically requested that there’s no celebrations for his one year anniversary at Liverpool, asking the club NOT to provide a cake! The German took charge on October 8 last year, which will arrive on Saturday. Sadly, there’s no game taking place due to the international break. Klopp is too busy to consider the milestone important, but is glad to have proved most of the doubters wrong in his 12 months with Liverpool to date! “I have no time, and I am not in the mood for reflection, to be honest,” he told the Echo. “It’s a year, I’m a year older and all this s**t, but everything else is good. Not perfect, but in a good way. That’s what we hoped, that’s what we said. “After one year standing here, we can talk like this. There was doubt, there was a lot of rumour around me. People said ‘obviously he was a good coach at Dortmund but a German managing here doesn’t work’ things like this. That’s better now. “The thing is, I’m not here for a year, I’m here hopefully for the long term, and it means that we have to use all the information we have until now and learn from it. “That’s how life works, collecting experience, learning from it and being ready for the next challenge. Klopp and his coaching team have six more years on their contracts and we’d love to see them all see it through. Upon his arrival, Klopp promised to turn us from doubters into believers, and he’s done just that. Now, it’s up to his team to continue obeying the boss’s instructions which has seen us take 16 points from seven Premier League fixtures so far. We look like a proper team this season, earning a win on Saturday when we weren’t at our best. When we do click though we’ll beat any side in the country.